Dr. Young is a native of Pontotoc, MS. He received a Bachelor of Science in Biology from Mississippi College in Clinton, MS in 1986. He received his Doctor of Medicine degree from the University of Mississippi School of Medicine in Jackson, MS in 1991. While in medical school, he was inducted into the Alpha Omega Alpha honor medical society. 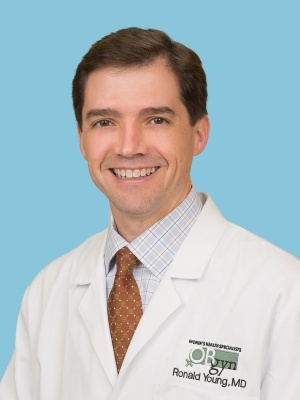 Dr. Young completed his residency in Obstetrics and Gynecology at the University of Mississippi Medical Center in 1996 and started his practice at OB/GYN Associates in Tupelo, MS that year. He is Board Certified in Obstetrics and Gynecology. Dr. Young has a busy obstetrics practice and is also able to assist with basic infertility problems. He is skilled in multiple gynecologic procedures including laparoscopic procedures and da Vinci minimally invasive robotic procedures. Dr. Young met his wife, Tami, while at Mississippi College and they have four children, Kyle, Kara, Miles and Miller. Dr. Young enjoys spending time with his family, serving with his local church and also enjoys outdoor activities.